Freestyle Fridays are back on BET! 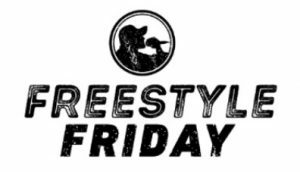 BET Networks is seeking out the best undiscovered MCs from around the world in the ultimate video-upload contest #FreestyleFridayBET, hosted for the first time at YouTube Space facilities around the world. Staying true to its roots from 106 & PARK, the contest challenges amateur MCs from across the globe to show off their best rhymes! 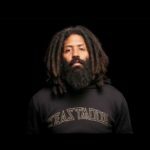 In a non-stop livestream face-off at the YouTube Space studios in four major cities (New York, Toronto, London and Los Angeles) rappers will pick from three beats at random to show off their lyrical skills in 60 seconds or less. The top ten finalists from each city will be selected by an esteemed group of radio DJs from across the nation. The rapper that receives the most #1 rankings from the DJs will be the official winner of the #FreestyleFridayBET competition in their city. 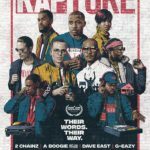 From there, the four winning finalists from each city will be flown to LA to take part in a rap battle that will be judged by a panel of celebrity judges at the Fan Fest main stage at the BET Experience 2018 in Los Angeles and the winner of this battle will be the opening act for the BET Experience hip hop show at the STAPLES Center on June 23, 2018. Additional hosts, show surprises and more to be announced in the coming weeks. (Toure Photo Credit: courtesy of Tayler Carr / Pix X Tay).